The Sea of Cortez is one of the most lush, bio-diverse seas on this planet. Located in between mainland Mexico and the Baja California Peninsula, the Sea of Cortez has been called the "Aquarium of the World;" it's home to over 950 varieties of fish and 30 species of marine mammals. But this maritime treasure and the creatures that call it home are in danger. 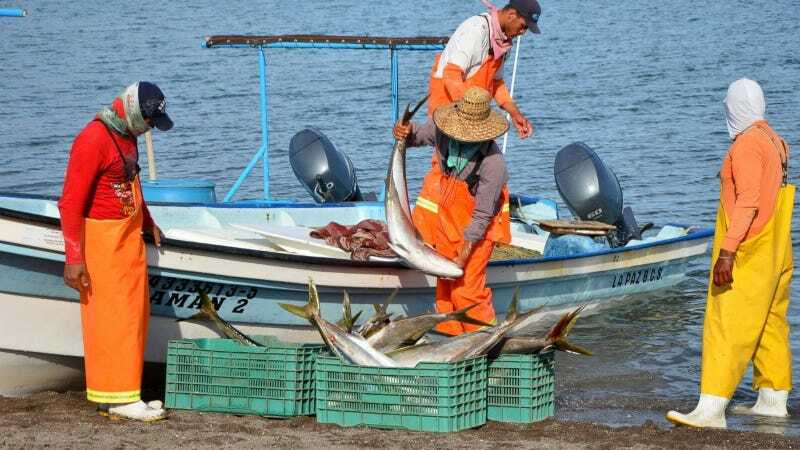 Fusion’s Environmental Correspondent, Nicolas Ibarguen, traveled to the Sea of Cortez to learn why fish populations are declining at an alarming rate, and to meet the unlikely allies who have come together to protect them.